Continuing his calls for greater oversight regarding the handling of consumer data, Cook has written an essay to push for changes to privacy legislation in the United States. Cook starts with a call to action by telling the reader, "In 2019, it's time to stand up for the right to privacy — yours, mine, all of ours." The major data collection efforts of companies like Google and Facebook are highlighted as a continuing issue, with the amassing of "huge user profiles," data breaches, and "the vanishing ability to control our own digital lives" said to be a solvable problem. The essay, published by Time, suggests "realizing technology's potential depends" on fixing the problem. "That's why I and others are calling on the U.S. Congress to pass comprehensive federal privacy legislation - a landmark package of reforms that protect and empower the consumer," writes the CEO. Cook references four principles he laid out to a global body of privacy regulators in 2018 that should guide legislation. The principles included the right to have personal data minimized with companies stripping identifying information or avoiding its collection, the right for consumers to know what is being collected and why, the right to see and make changes to personal data, and the right to security. 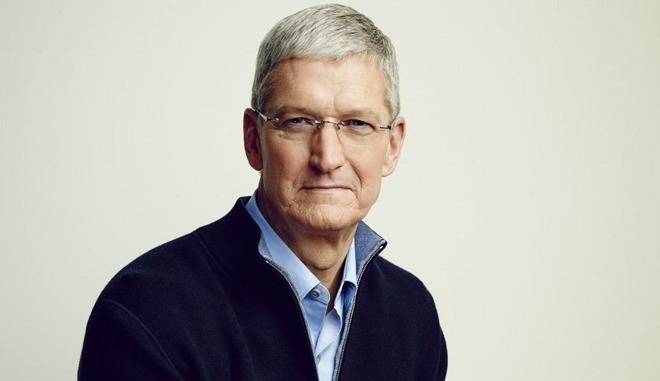 "But laws alone aren't enough to ensure that individuals can make use of their privacy rights," Cook asserts. "We also need to give people tools that they can use to take action." Cook goes on to discuss the concept of a "data broker," a company that collects data from a retailer or other firms providing products and services, which are then compiled and sent to another buyer for other uses, usually without the customer's knowledge. For example, this data could be used to further advertising campaigns, or in the more extreme case of Cambridge Analytica, be allegedly used to influence elections by targeting individual voters. The amount of data compiled by such firms is immense. A 2014 report by the Federal Trade Commission found one broker's database had "information on 1.4 billion consumer transactions and over 700 billion aggregated data elements," while another covered over one trillion dollars in consumer transactions and a third added three billion new records to its databases each month. Considering the age of the report, it is almost certain the level of data acquisition has increased considerably in the interim. "The trail disappears before you even know there is a trail," suggests Cook. "Right now, all of these secondary markets for your information exist in a shadow economy that's largely unchecked —out of sight of consumers, regulators, and lawmakers." Comprehensive federal privacy legislation should "shine a light on actors trafficking in your data behind the scenes," and not just to put consumers in control of their data. While some state laws are moving in that direction, Cook notes there is no federal standard version that protects U.S. citizens in the same way. It is suggested the FTC should "establish a data-broker clearinghouse, requiring all data brokers to register, enabling consumers to track the transactions that have bundled and sold their data from place to place, and giving users the power to delete their data on demand." "We cannot lose sight of the most important constituency: individuals trying to win back their right to privacy," urges Cook. "Technology has the potential to keep changing the world for the better, but it will never achieve that potential without the full faith and confidence of the people who use it." The issue of data collection is being looked at by Congress in a number of different ways. In November, a pair of senators on a subcommittee of the Senate Commerce, Science, and Transportation Committee are working on a draft bipartisan bill that could arrive sometime in 2019. On Wednesday, Senator Marco Rubio announced he was putting forward a bill that would task the FTC with suggesting new rules that Congress could implement, with the potential of the FTC being granted powers to make up and enforce its own rules. This problem is solvable—it isn't too big, too challenging or too late. Innovation, breakthrough ideas and great features can go hand in hand with user privacy—and they must. Realizing technology's potential depends on it. But laws alone aren't enough to ensure that individuals can make use of their privacy rights. We also need to give people tools that they can use to take action. To that end, here's an idea that could make a real difference. One of the biggest challenges in protecting privacy is that many of the violations are invisible. For example, you might have bought a product from an online retailer—something most of us have done. But what the retailer doesn't tell you is that it then turned around and sold or transferred information about your purchase to a "data broker"—a company that exists purely to collect your information, package it and sell it to yet another buyer. The trail disappears before you even know there is a trail. Right now, all of these secondary markets for your information exist in a shadow economy that's largely unchecked—out of sight of consumers, regulators and lawmakers. Let's be clear: you never signed up for that. We think every user should have the chance to say, "Wait a minute. That's my information that you're selling, and I didn't consent." Meaningful, comprehensive federal privacy legislation should not only aim to put consumers in control of their data, it should also shine a light on actors trafficking in your data behind the scenes. Some state laws are looking to accomplish just that, but right now there is no federal standard protecting Americans from these practices. That's why we believe the Federal Trade Commission should establish a data-broker clearinghouse, requiring all data brokers to register, enabling consumers to track the transactions that have bundled and sold their data from place to place, and giving users the power to delete their data on demand, freely, easily and online, once and for all.